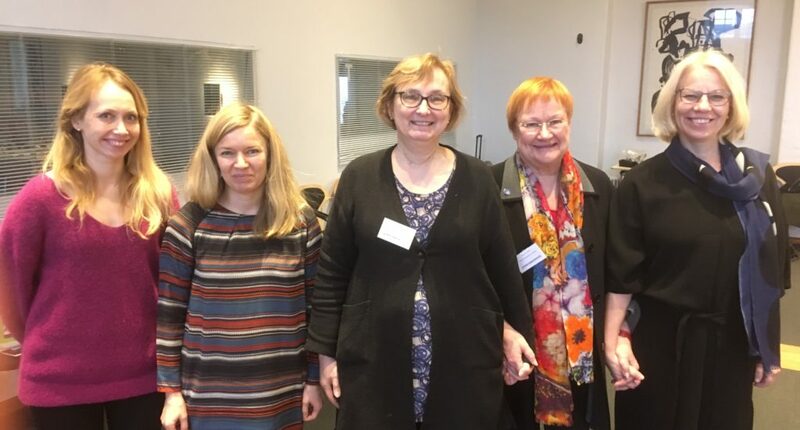 President Halonen participated in Nordic Women Mediators Annual Meeting in Copenhagen. The thematic focus of the year was Syrian peace process and women’s participation in peace processes. President Halonen is a member of UN Secretary-General’s High-Level Advisory Board on Mediation. Women’s voice in peace negotiations is still rarely heard even though they make up half of the population. Women have a key role in maintaining peace and security. According to UN report the peace treaty does not only get more likely signed but also lasts longer when women participate meaningfully in the process.